Sometimes nice things happen. Such a thing happened to me. A gift of an Ashford Knitters Loom & Stand. I’ve been wanting to try weaving for a couple of years now, and now I’m off and flying with it! I started small, a little scarf which I gave to the Father in Law. Made with Tekapo Yarn. It came up lovely. He’s thrilled with it, so that’s always a good sign. I quickly warped up a second scarf for the Husband. Cleckheaton Country yarn, in 8ply, black and white. I got a little fancier with this one, and added a second colour. 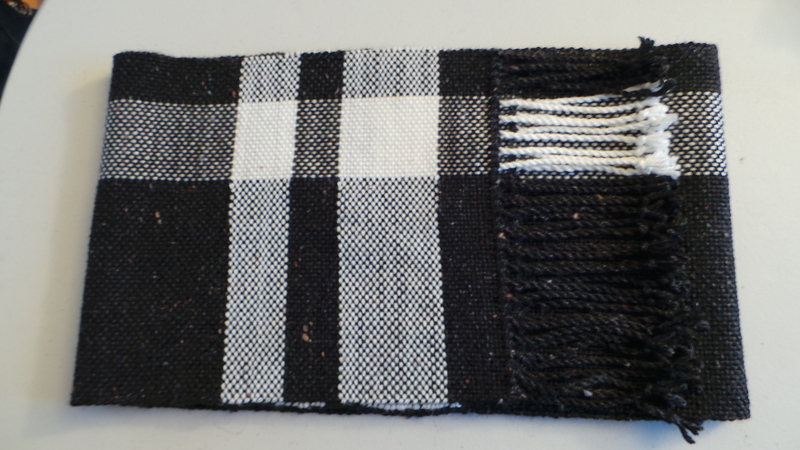 This one finished up about 24cm wide, and 230cm long (plus fringe). It suits Husband, and he loves it. This in itself makes me happy. 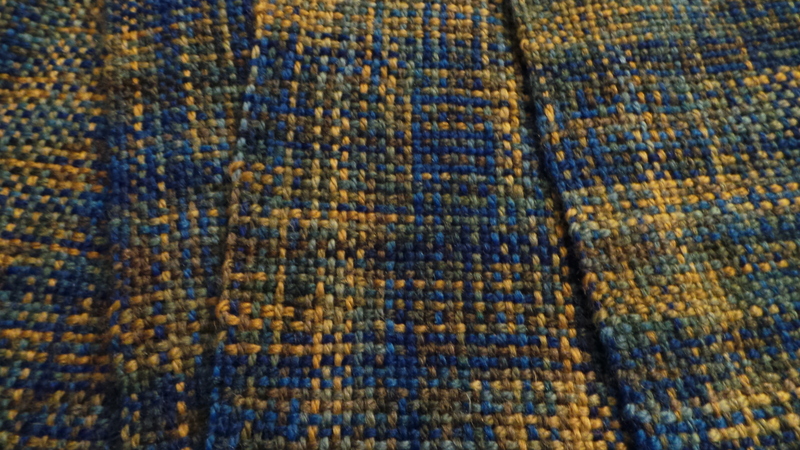 I am thoroughly enjoying weaving. I see a lot of it in my future. Life, Priorities, and Changing Them Both.